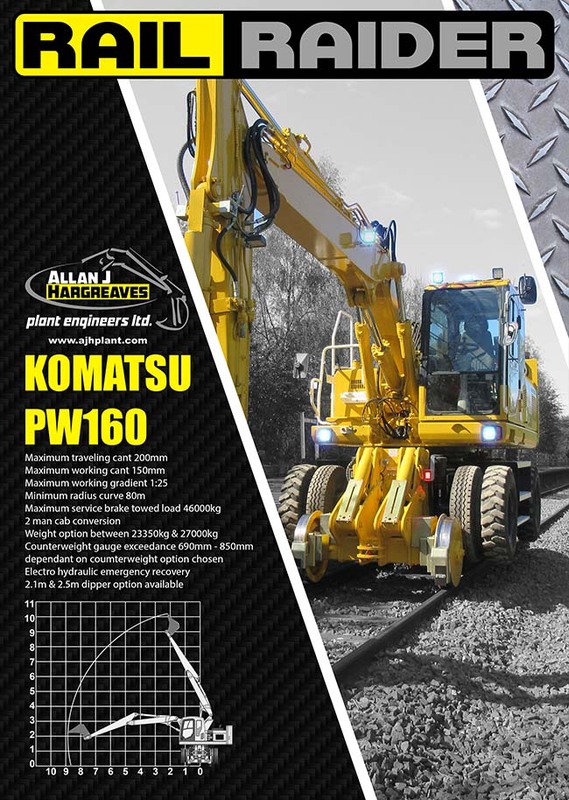 Our new Komatsu PW160 road rail excavator ” Rail Raider” is fitted with a friction drive type 9b rail axle and GKD spaceguard, the lifting duties are excellent for the weight class and weighs in at 23350kg. 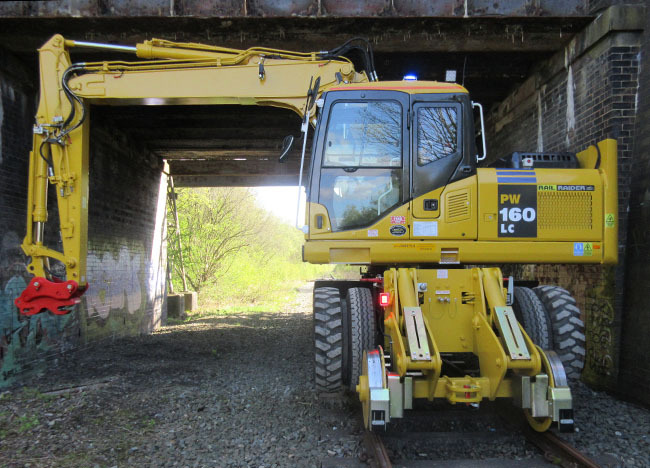 This machine can built to specific customer requirements with multiple counterweight options to balance lifting duties and tailswing, Hydrovane air compressor system and 2 man cab. 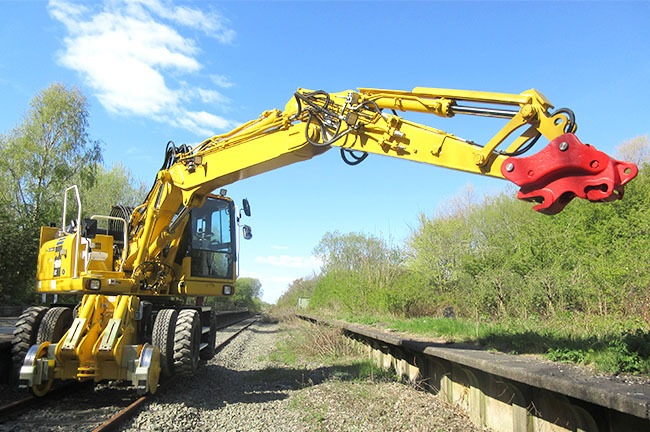 The weight can also be increased up to 27000kg with heavyweight side toolbox option to lower the centre of gravity, improving backwards stability and lifting duties. 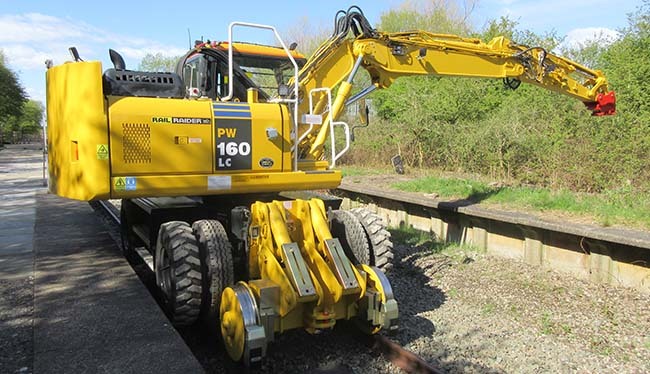 The machine also has full Network Rail product acceptance. Hydrostatic drive axle options are also available. For more information, or to talk about specific details please contact us..